151 Oswego Summit Open Today! I am excited to introduce you to my new listing in Oswego Summit. I’ll be holding it open today from noon to 3pm. Oswego Summit is at the very top of Mountain Park. 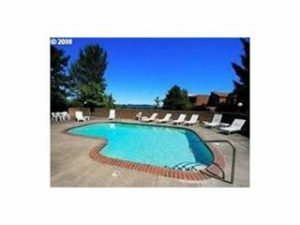 It is a large condominium complex with many amenities including an indoor swimming pool, and outdoor swimming pool, a exercise room, and a meeting room for parties and larger gatherings. 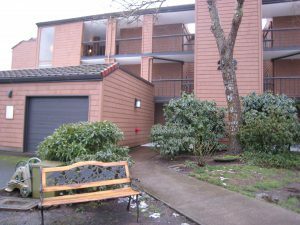 This condo is one of the larger in the complex with 1506 square feet. There are 2 large bedrooms and 2 full baths. 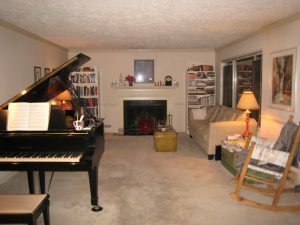 The living room has a gorgeous fireplace and crown moldings. There is a utility room and a pantry off of the kitchen, and the square footage does not include a 24′ long sun room with Southern exposure. There is a single car, detached garage as well as a storage closet. Because it is located in Mountain Park, it is also part of the Mountain Park Home Owner’s Association. The features of this association include one of the metro area’s nicest pools that has an area designed for lap swimming as well as an area for kids and families with a huge slide and water play area. There is a basketball court and more exercise facilities. Along with the rec center, there are 15 miles of walking paths. This condominium affords not just a home, but a lifestyle. 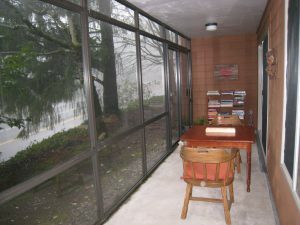 The asking price is $199,900, a true value in Lake Oswego. Please come by and say hello. I’d love to meet you!